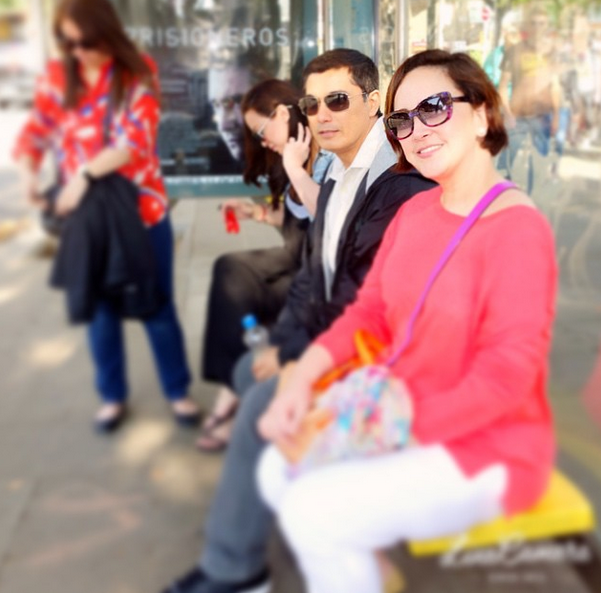 MANILA, Philippines - Liezl Martinez, wife of actor Albert Martinez died on Saturday morning, March 14 after battling cancer for several years, the family has confirmed to press. In the official statement, it says that Anna Lisa ‘Liezl’ Sumilang Martinez peacefully passed away in her sleep at 6:15 this morning, 14th of March 2015. She was 47. "Liezl is surrounded by her beloved husband, Albert; precious children, Alyanna, Alfonso, and Alyssa; loving mother, Amalia; father Bobby; and her relatives at this time of love and grief. "Thank you for your continued prayers. The family shall be sharing the funeral announcement soon." Meanwhile, Martinez's maternal uncle, Cheng Muhlach said that Liezl's wake will be at Arlington Memorial. Liezl was diagnosed with breast cancer in 2008. She recovered from this, but in 2011, she was diagnosed with Stage 4 lung cancer. Though she had a medical problem, she was still able to serve as one of the members of the Movie and Television Review and Classification Board (MTRCB).